Do journey’s change life, guess am still to embark on one which proves to be life changing deal for me. However there has been one and the most recent one (Irony is it dates back to a year or so…) which definitely I would cherish for long. The journey was remarkable perhaps because of the company of friends or because of the beauty of place mixed with our own adventure, guess that is what makes it truly memorable. 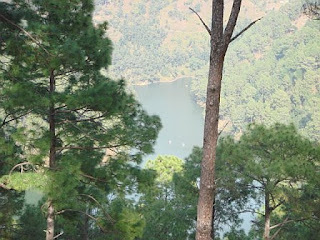 Sattal or Sat Tal is an interconnected group of seven freshwater lakes situated in the Lower Himalayan Range near Bhimtal, a town of the Nainital Lake District in the Uttarakhand state of India. Believe me we calibrated for months before choosing the place and it never disappointed. Rather a forced one courtesy a huge traffic jam caused by the hoards of trucks but a special mention to our road warriors ( R & R) who literally played the role of traffic hawaldars and we managed to cross the bridge in approx 4 hrs(Over the time limit by 3 hrs). By this time we had managed to rummage nearly 1/4th of our stock. By the time we reached over there it was early morning and time to have toast as we finally managed to overcome the traffic. Breakfast of warm variety of paranthas topped with butter and large glass of lassi was the victory breakfast for us. You can certainly enjoy these at the roadside dhabas. 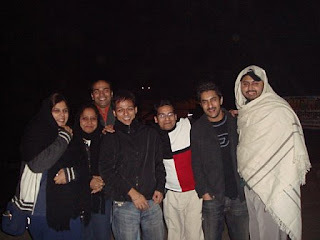 Yes believe it or not our expert drivers i.e ( S, P & R) drove the entire way from dhaba non-stop to Sat Tal. It was one hell of ride with constantly changing scenery ranging from greenlands to barren lands - the contrast was simply amazing and riding the dangerous swerves aws fun and thrill. Expert Tip: Make sure you are carrying enough cash with you as we regretted later and had to go on a detour trying to find an ATM. 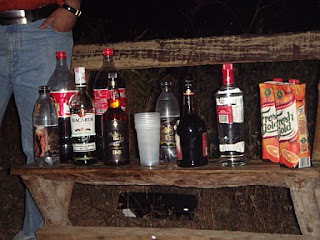 The welcome to the destination was not with some cool welcome drinks but a rather challenging steep climb to our camps. The camps were pre-booked and located on top of hill. Though the climb was tiring the view from the top was mesmerizing. You would immediately fall in love with place the moment you are on top. 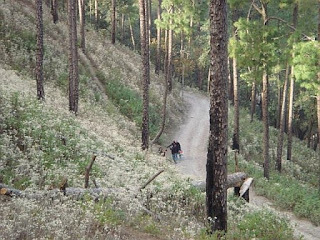 Expert Tip: Do not be the "Daredevil" and try to climb the hills in case you are already tired. Opt for the local jeeps who charge you a minor amount to take you to your camp. 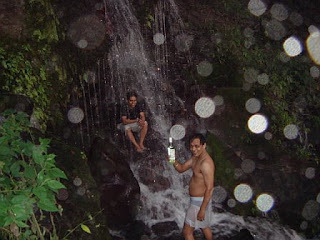 Expert Tip (From Me & P): Try having a Bacardi White Rum (you can replace it with your own choice of booze) while sitting under the cool waters of waterfall the experience can be perhaps be compared to being in heaven. 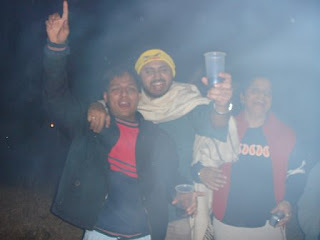 Well if you thought nightlife in hills was about sleeping you are highly mistaken as this is when the real fun begins. Campfire under the starlit sky with friends and your choice of liquor well that’s perhaps the best way to have fun and spend a relaxing and fun filled weekend. I would settle for it any day. The Song N Dance Session: What if the Dj’s and disco lights were missing. The starlit sky, full moon, campfire and yes most important the booze was enough for us. Nothing can stop a bunch of fun-filled people like us from singing our own chorus and dancing to them as well. A complete orchestra. After a session which span to early in the morning we finally retired to our beds to prepare ourselves for the Day 2 of vacation. 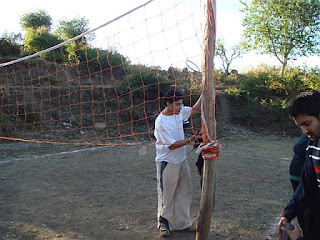 Not even a missing badminton court could stop us, we played badminton on volleyball court as the camp did not have volley ball. True crisis management and optimum usage of available resources, I say. The expert and power packed duo of R&R were the champions largely due to their constant shouting, arguing and bit of luck as well. Yes guys that's true. Our next stop was the lake where we were getting ready to try another adventure- Canoeing. Had heard and seen it, but never tried it and that was for the entire group. Well till I d personally tried it, I thought it to be a relatively easy thing to do but trust me there is lot of mathematics, skill and science involved in ensuring that you stay adrift and keep the canoe moving. 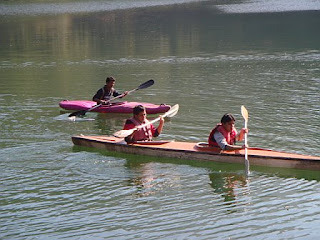 Don’t know about others but me & P both turned out to be worst canoers but hey there is a silver lining- "we at least tried unlike few others who were mere spectators standing ashore". We finally rowed the canoe for a while till we could no further bear the embarrassment of failing to co-ordinate, don’t know who was worst whether it was me or P but am sure I would do lot better the next time..
BTW the two brave ladies (T & A) had mastered the art of canoeing and would won hands down. Yes after our canoeing experience and a nice warm lunch it was finally time to bid goodbye to the valley. Ever felt like separating with someone that’s how we or at least I felt it was the place that made me forget everything even if it was temporarily for a few days. 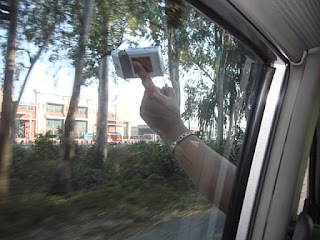 It was indeed a trip which in true sense left a deep imprint in my memory.